Fully self-supported design for ultimate stability. A Ready Gate with lockable latch is an available upgrade. Up to six (6) steps to meet the extra height to accommodate pools. Full baluster rails and handrails. 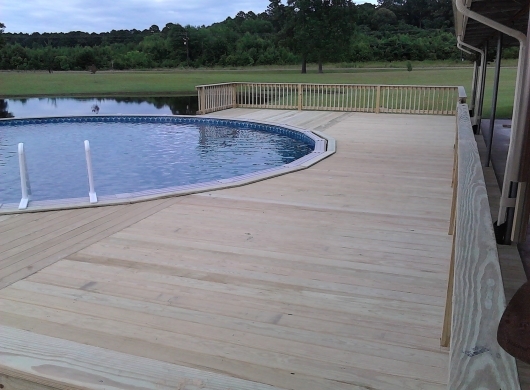 Curious about the pool decking options available for our Ready pool decks for sale? Check out the gallery linked below.